Obtained from an ancient “Baglio (a typical Sicilian rural building with a spacious courtyard)” dating back to the 16th century, the “Alba Marina” Bed and Breakfast maintains a family management: Nino and his staff will welcome you throughout the year and make you feel at home. A tasty and rich breakfast buffet, with typical Sicilian sweets prepared by “mamma Teresa”, attends to your awakening. If you don’t want any concerns but you just want to enjoy your holiday, Nino will take care of everything: from 24-hour airport transfers to organization of wonderful excursions, through itineraries to the discovery of a part of Sicily still unspoilt and far from the chaotic tourism. It is surrounded by a garden with citrus orchards and olive groves and equipped with a barbecue area available for guests. The “Trapanesi (inhabitants of Trapani)” are very hospitable. Nino, the owner, and his staff are no exception. It is possible to feel their warmth: they open their hearts to tourists making them feel completely comfortable, telling their story and sharing their traditions. Don’t hesitate to contact Nino for any questions relating to your holiday: from excursions to rental vehicles, or tips on what to do and to see or where to eat. 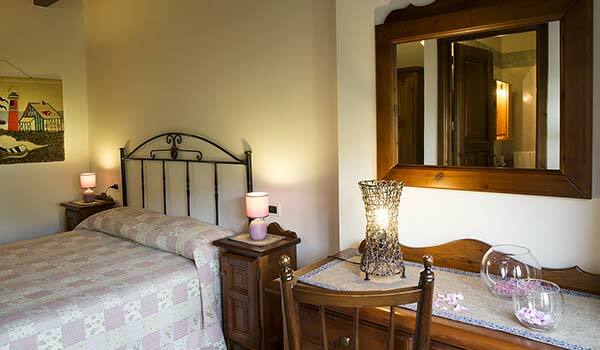 Here you’ll live a real Sicilian experience with the warmth of a family-run bed and breakfast. A tasty and rich breakfast buffet, with homemade cakes prepared by “mamma Teresa”, attends to your awakening. It also includes a great variety of typical Sicilian sweets, such as cassate, cannoli, graffe and almond pastries, as well as other delicacies like jams, freshly squeezed citrus fruits and fresh fruit.